Today would be a double barreled day of Beijing tourism, punctuated by a huge lunch. 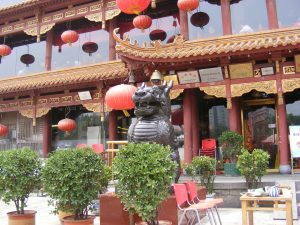 Our first stop was The Temple of Earth (also referred to as the Ditan Park) was constructed in 1530 by Emperor Jia Jing during the Ming Dynasty. 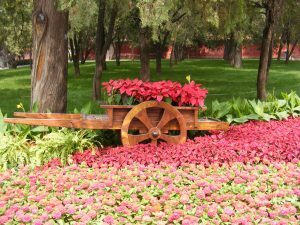 The park covers a 100 acre space outside of Beijing’s Second Ring Road, in the middle of a heavily populated area. The park features lush gardens and tree lined paths. 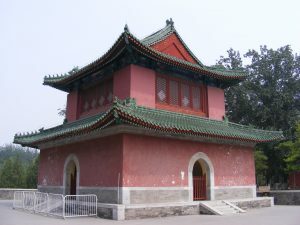 During the Cultural Revolution of China, the temple was damaged; however, the site has been restored and renovated since then. 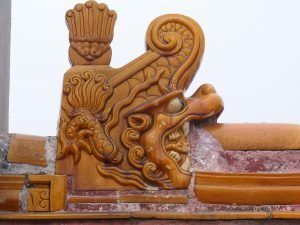 these intricate characters that could be seen up close in order to appreciate the craftsmanship. Many of them were cast and fired in a mass production kiln, but each of them was meticulously hand painted so no two are actually alike. 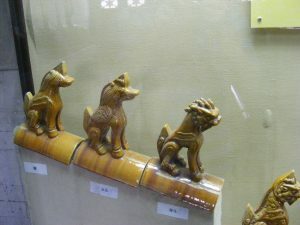 Even the railing posts and guttering was ornate and featured a cast of these characters. Many rooftop versions were protected from lightening by a halo of metal wiring. 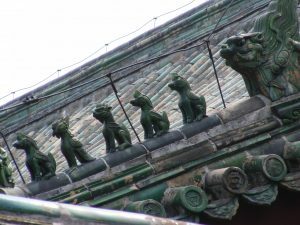 If you visit any of our other travel tours from this region, keep looking at the rooftops and corners of the building for examples of these figures. The Temple of Earth was used for a specific purpose. 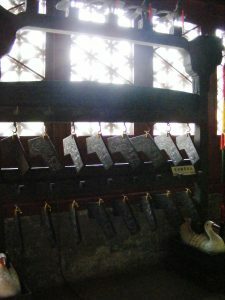 Emperors of the Ming, and then later the Qing dynasties used the Temple for sacrifices which were used to appease the gods, who in turn would help the nation. These sacrifices took place at the Temple of Earth during the summer solstice. Some things that sacrifices were done for include good harvest, a strong stable nation, and good weather. 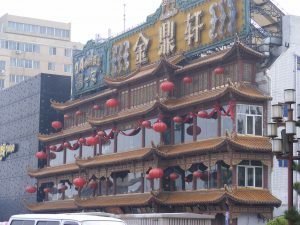 During the Chinese New Year (which usually begins on the first day of the first lunar month of the year) the Temple of Earth holds a very popular festival. The festival features thousands of red lanterns hanged on the many trees of the park, and thousands of locals and tourist flock to the park every year to participate, so if you check your calendar for the Lunar New Year date, it’s be a good time to be in China, generally, but especially in Di Tan Park. 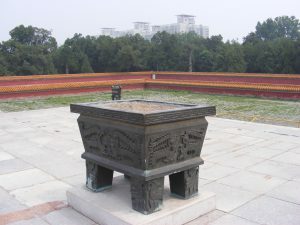 The altar in the middle of the Temple of Earth in Ditan Park is called Fang Ze Tan, or “square water altar”. 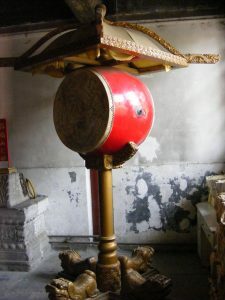 The altar is square shaped, once again referring to the old Chinese idea of a square shaped Earth. The altar used to be surrounded by water, but these days it is drained. The altar was used to offer sacrifices to the Earth God. On a north-south axis, the temple consists of 5 main buildings. Once again wood-burning and incesnse pots were at every turn. As most temples, the sprawling walkways out from the cnter of the focal poiont were oriented to some celestial or lunar event, Stonehenge style. There is also usually an official entry point for many of the temples, like these gates into the Temple of Earth. On a north-south axis, the temple consists of 5 main buildings. 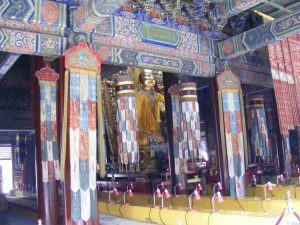 The Fangze Altar, The Imperial Respecting House, The sacrifice Pavilion, The Fast Palace and the Divine Warehouse. For thousands of years, the Chinese have believed that important cosmic things could be symbolized using common shapes and directions. Because the Temple symbolizes the Earth, its footprint is square in shape. 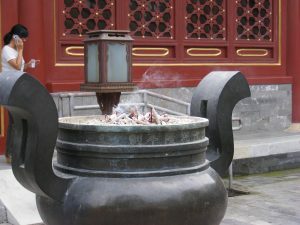 The square is a powerful symbol in Chinese culture and mythology which can mean Earth or the ground. 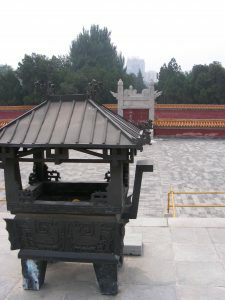 The Temple’s construction mirrors these beliefs with its many square walls and altars. 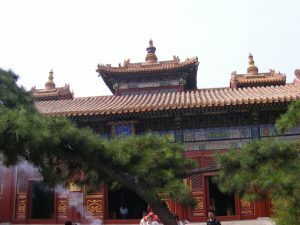 The Temple of Earth is also located in the north of Beijing, north being the direction associated with the Earth. In contrast to this, the much larger Temple of Heaven is circular in shape, symbolizing the heavens and sky, and is located in the south of Beijing. 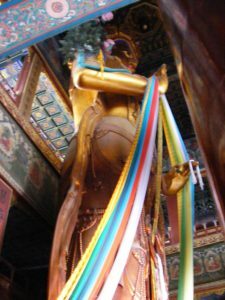 These two temples, along with the Temples of the Moon and Sun (located in the west and east, respectively), interact with each other in spiritually important ways. The Chinese government has listed the Earth temple as one of the most important historical monuments under special preservation. 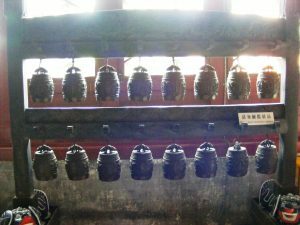 Also, in one building, more like a museum, there were examples of items used by the emperor and his staff in carrying out the temple rituals, including a sedan chair to port the empress, an assortment of bells, chimes, drums. There was one final building to check-out called the Bell Tower. It’s a replica of the original. 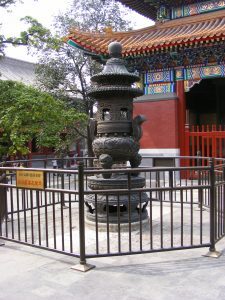 As mentioned, Di Tan Park is part Temple of Earth…but it is mostly a park. 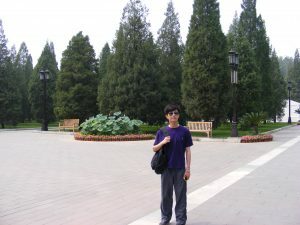 A beautiful park, well cared-for with floral displays, exotic trees and shrubbery. 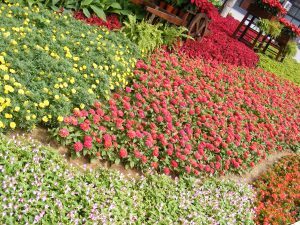 Therefore, even after you’ve pondered the mysteries of the temple rituals, a wander through the landscaped area enhances the reality that the Earth is, also a temple. As we left the Temple of Earth section, it was a time for peace, quiet and reflection…and you’ll sense in this collection. 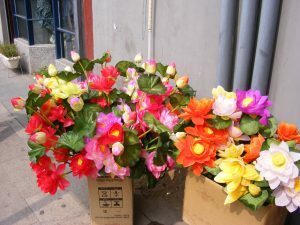 In closing, I think that if you are a farmer, gardener, floral designer, have a green-thumb, or are in any way connected to the agrarian world, a trip to the Temple of Earth is a must stop on your Beijing visit. 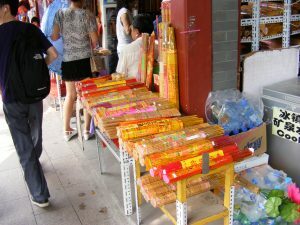 On the streets outside the Temple, there are many small stores selling ornaments and flowers, and incense to use ceremonially inside.